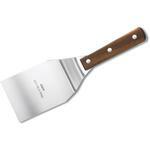 Any serious cook can tell you that a versatile high quality knife is absolutely essential to any kitchen. 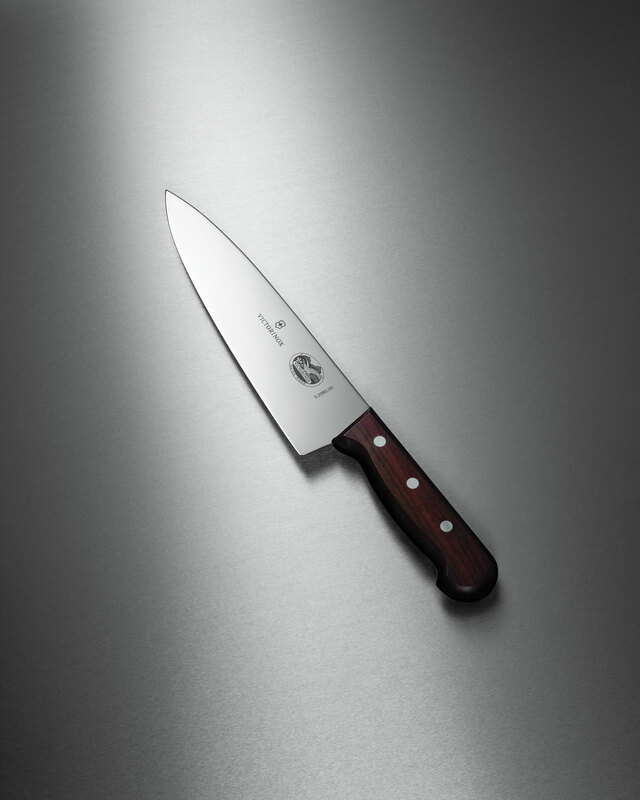 With that in mind, Victorinox made the 8" Rosewood Chef's Knife. This best in class, sharp chef's knife can handle any kitchen task you put it through, without ever compromising its sharpness or strength. One of their most popular knives, the versatile, multipurpose 8" Chef's Knife is a must-have for every serious cook. 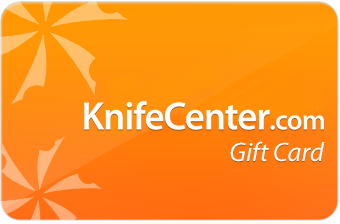 The high-carbon stainless steel blade is perfect for large chopping jobs and carries a lifetime warranty against defects in materials and workmanship. And the natural beauty of the rosewood design is ergonomic, lightweight, balanced for extended use, and will not discolor or corrode. 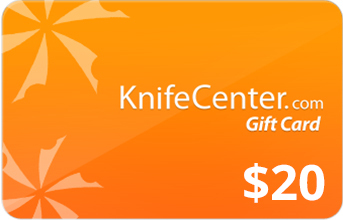 For its price, this chef's knife is a real bargain. The blade is stamped rather than forged, but is made from high quality steel that takes and keeps a good edge. I much prefer the looks of the rosewood handle, which fits my hand very well. Be aware that the oil used to protect the wood in the manufacturing process has a somewhat harsh chemical odor. It can be minimized by washing the handle in a weak vinegar solution and rinsing very well. Then after drying, give it a few drops of mineral oil and work it into the wood. 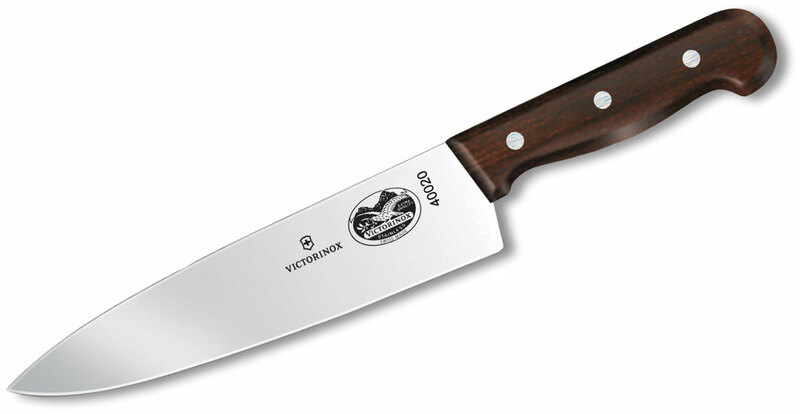 I've used high quality chef's knives by Wusthof and Henckels and this Victorinox is almost on a par with them. Since I've only been using this knife for a few weeks, I can't make any comments on its durability. 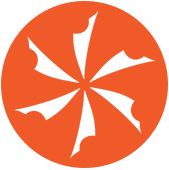 But considering its quality materials and construction I expect that with responsible care (handwashing) it will last for many years. the whole line of rosewood forschners offer excellent value and are much more durable than the fibrox. Fibrox handles just do not last that long; after a few years they are scuffed to da max and look dirty once they dry. 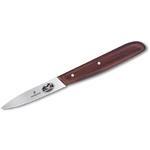 The rosewood handles, however are tough and attractive, and the blades are very corrosion resistant so they retain their shine, are attractive, and look very clean after years of service. The 8" & 6" chef, butcher, cimiter, and fillet are total workhorses. I cut serious fish, turkeys, hams, steaks, and craptons of vegetables. 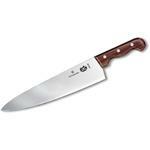 Hey, I wanted to share "Victorinox Forschner 8 inch Chef's Knife, Rosewood Handles" with you from KnifeCenter.